After years of being told no metal in microwave, it still feels too weird to follow the instructions on my new microwave to use a spoon when boiling water. 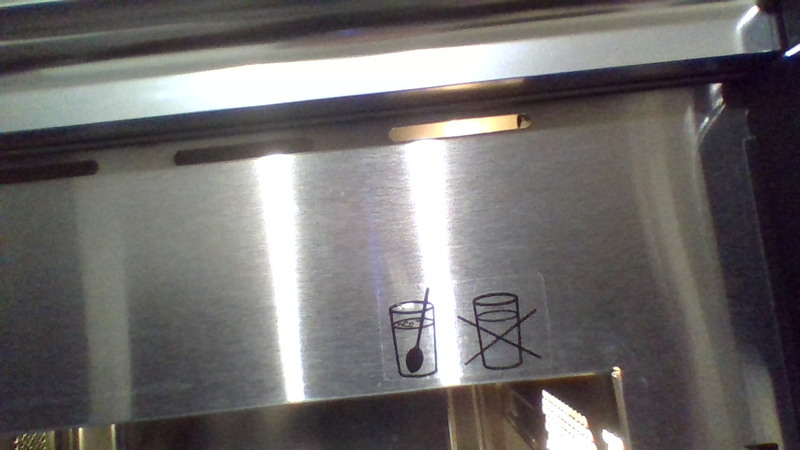 There’s a sticker telling me I have to add a spoon when microwaving water but I don’t see myself ever doing that because the “no metal” is so ingrained, and I’ve seen plenty of lightning videos from people who have done it. This picture is from the lifts at the local hospital. 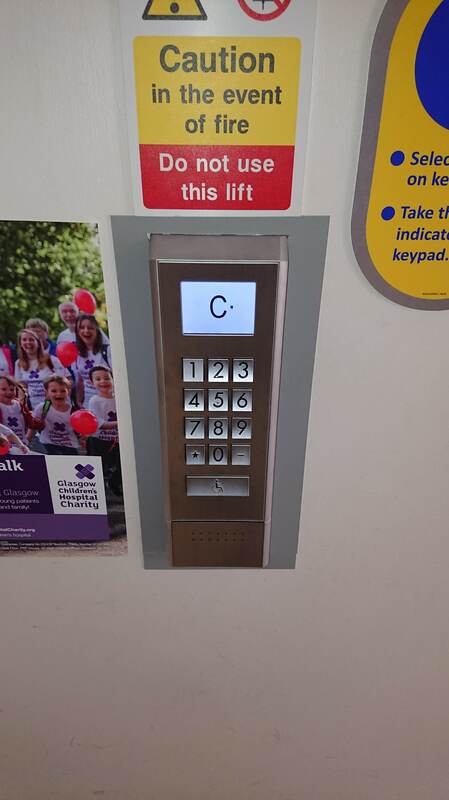 You press a floor number (rather than up/down) and the display responds with a letter telling you which lift to catch. This additional abstraction confuses many users, as I discovered helping people use them as I was taking a coffee break. I see the same thing on a lot of websites. Those “cool” websites that break scrolling by moving things sideways or zoom in as I scroll down. SPA sites that break the back button. Using outlook web access on a mobile browser is painful. I keep getting the “Are you sure you want to resend?” or the login prompt when I try to go back to my message list from an email. I’ve never been a great visual web designer, I’m definitely a function-over-form type, but I’ve always started with the principles that came to be known as progressive enhancement. Make it work in the simplest way, and add the bells and whistles on top of a strong, accessible foundation. That foundation has shifted from HTML, to HTML+CSS+JS, to TSX in my latest projects, and from desktop to mobile throughout, but it is always based on the basic principles of text and forms : easy to read, easy to follow, and works the way you expect it to. If you’re trying hard to stand out by breaking expectations, what are you trying to hide?